Morning... Very quick card for you today using one of the floral stamps from Clearly Besotted. I did actually make this card last year but had not been able to share it with you. 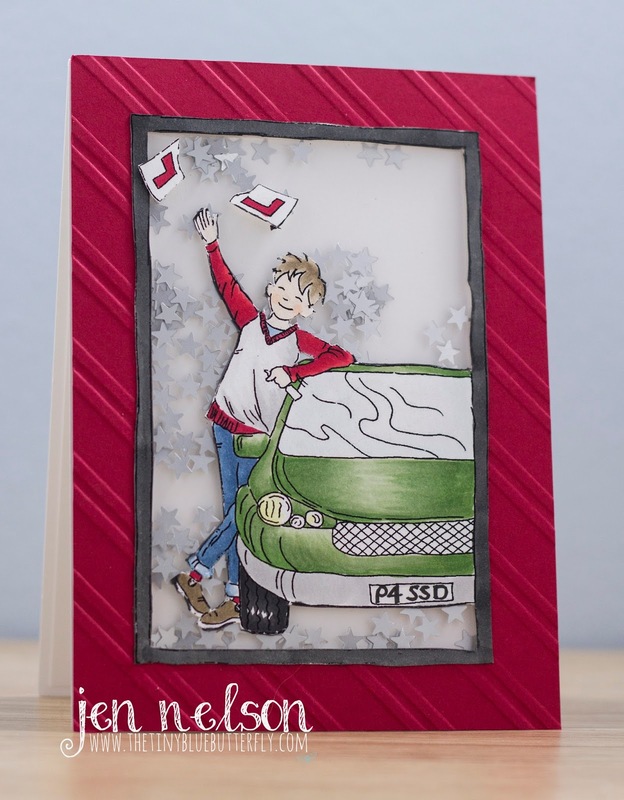 I stamped and heat embossed in white the image from the On Your Day set from CBS and then coloured it in using distress oxides. I then fussy cut it out. 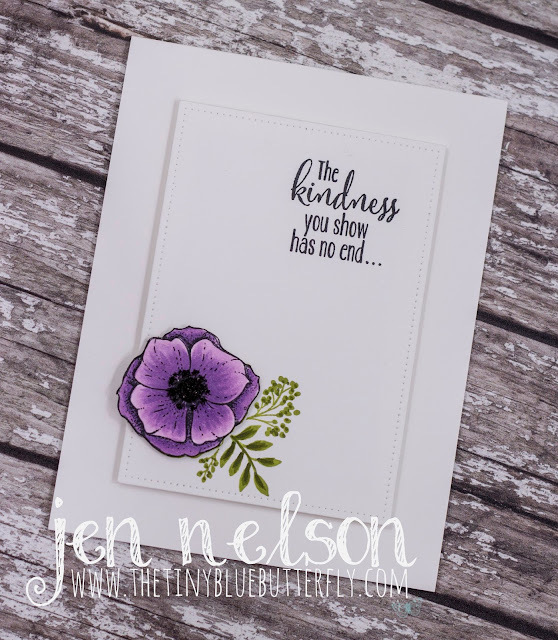 I embossed a piece of vellum with the linen plate from Papertrey Ink and mounted that onto a card blank made from Soft Sky Card stock from Stampin Up. Its edges with a piece of white 3mm ribbon and the image added over the top and trimmed where it went over the edge of the blank. 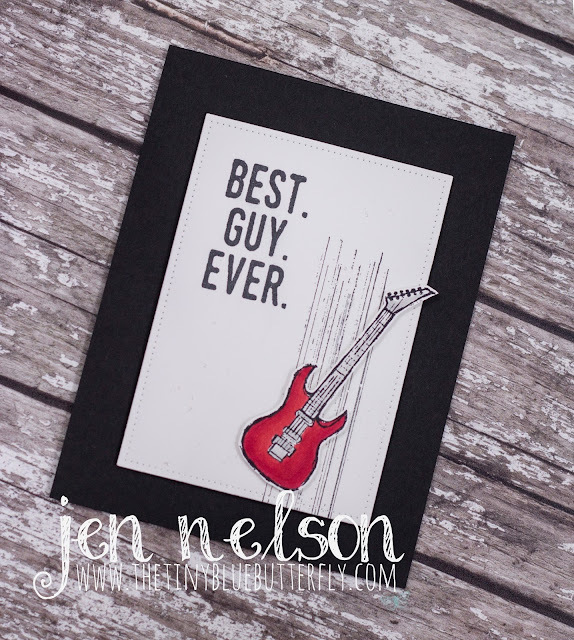 The card is finished off with a sentiment from the Message Me stamp set stamped and white heat embossed on black card stock. Morning.. 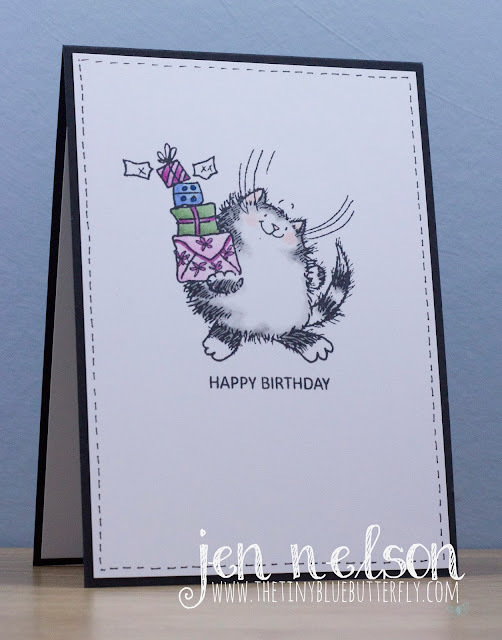 Here is another card I made last year after I had done my copic 3 class back in September which was colouring Fur. I completely forgot to post it! 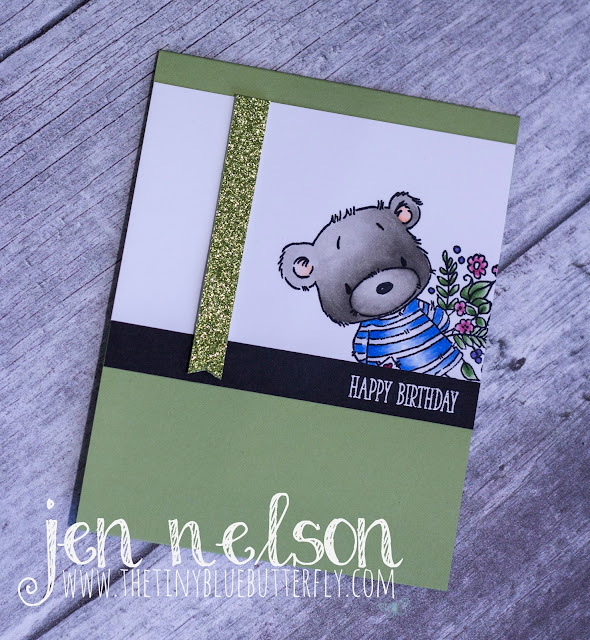 I stamped the squidgy and teddy stamp from Stampin Bella onto neenah card stock and the coloured in with copics and the technique learned at the class for the bear. 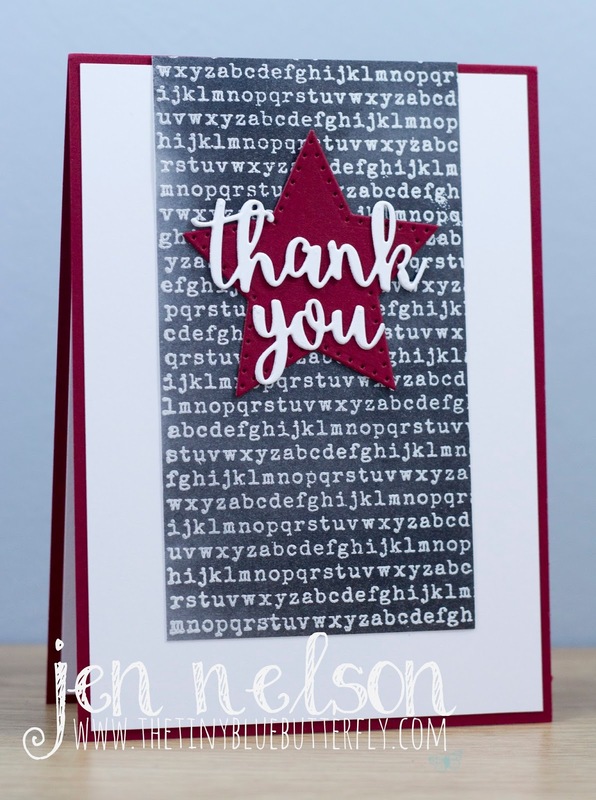 I added the sentiment from the same set and then mounted the panel onto a card blank made from Real Red card stock from Stampin Up. Morning... Hope you all had a fabulous weekend... I'm hopefully enjoying the sights of Italy as you read this! Today I have another CAS LOTV card for you today and its using one of the New Home Trios. 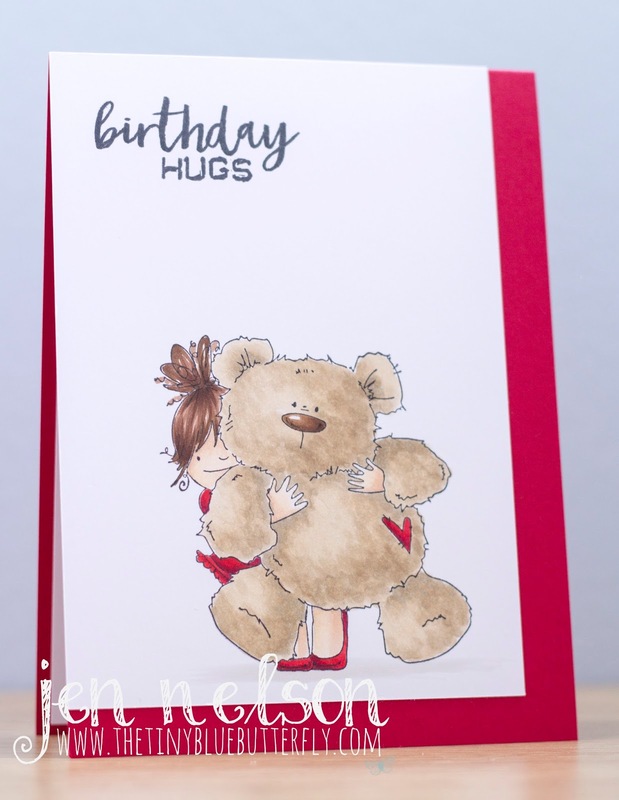 I love digi stamps as you can make the image the size you need for the card. This one I have made it slightly bigger than what the original rubber trio stamps were. I coloured in the house image using copic markers and then fussy cut around the circle before mounting it onto a kraft card stock base. The sentiment has been added using my tape machine.... I really love this gadget and it reminds me of being a kid again! That's all from me today. I hope you all have a lovely Monday. Hey Y'all... I'm off on vacation tomorrow and looking forward to a break away and some sunshine. 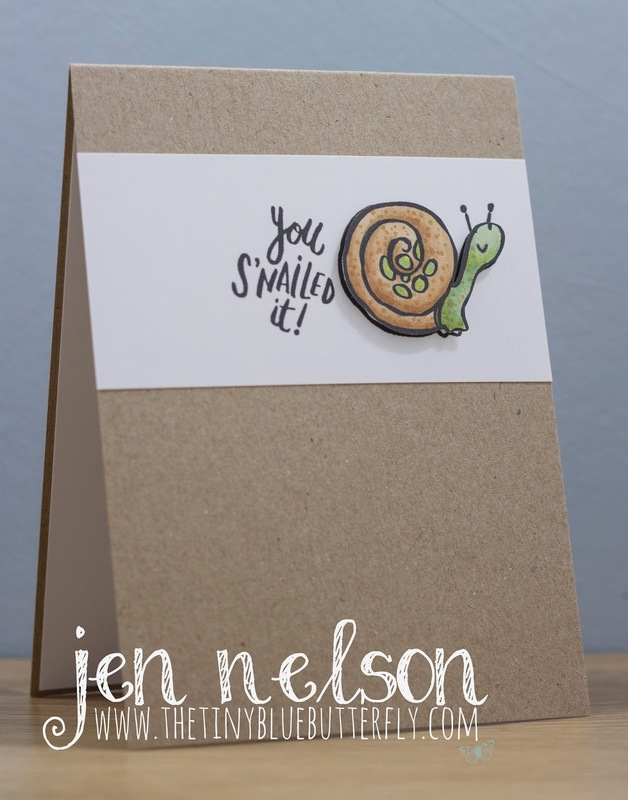 I have scheduled posts whilst I am away as I have somehow become mega organised and have made enough cards plus found a few from last year I had not shared with you. For this card I used a Stampin Up Sale-a-bration set called Epic Celebrations.... I love how it is perfect for those musical friends. I stamped the image and the coloured in the guitar body only. I then fussy cut the image out. 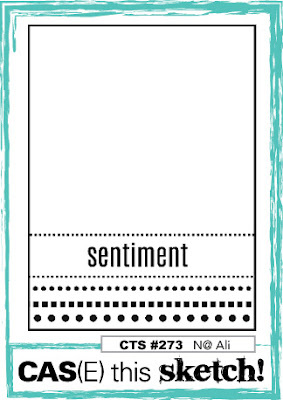 For the panel I added a texture stamp from the Gorgeous Grunge set. 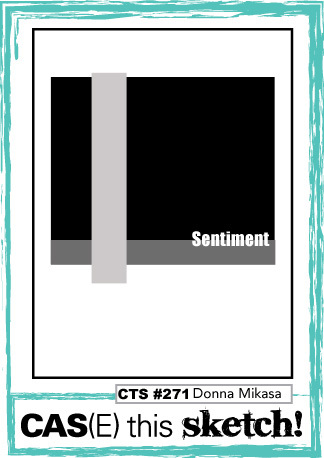 The sentiment is from the same set as the guitar. 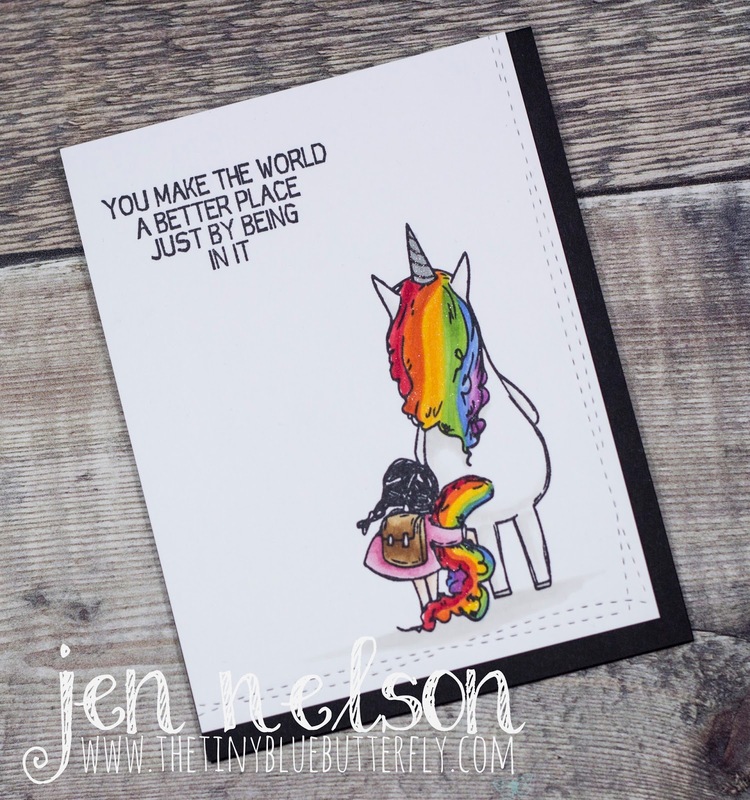 the panel is then cut out using the pierced rectangles from Avery Elle before being mounted on a card blank made from black card stock. That's all from me today... busy last day in the office ahead of me! Morning Crafty Peeps... 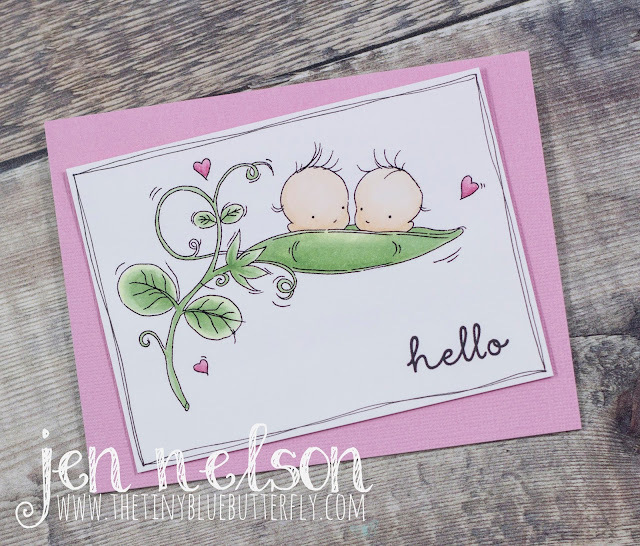 I have another card I made last summer to share with you today. Surprising what you find unedited on your laptop when you are sorting it out. 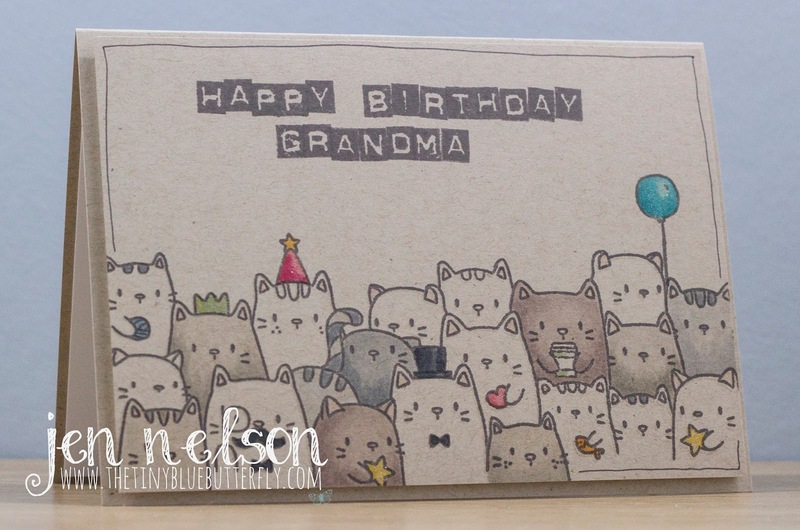 I don't even remember making this card! 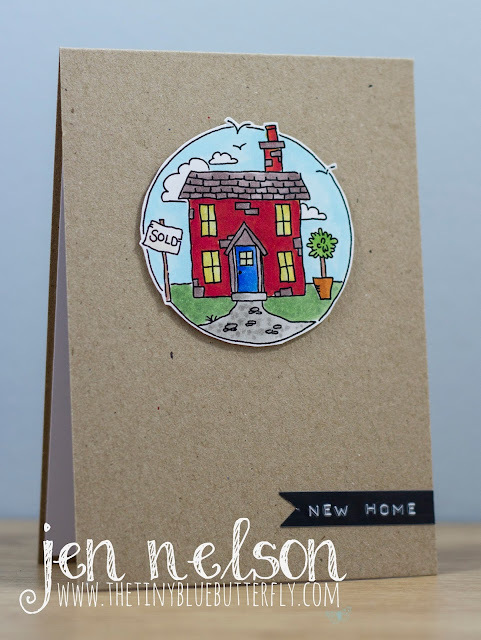 I used an MFT background and white heat embossed it on neenah card before adding black distress ink using a blender tool to give a chalk board effect. 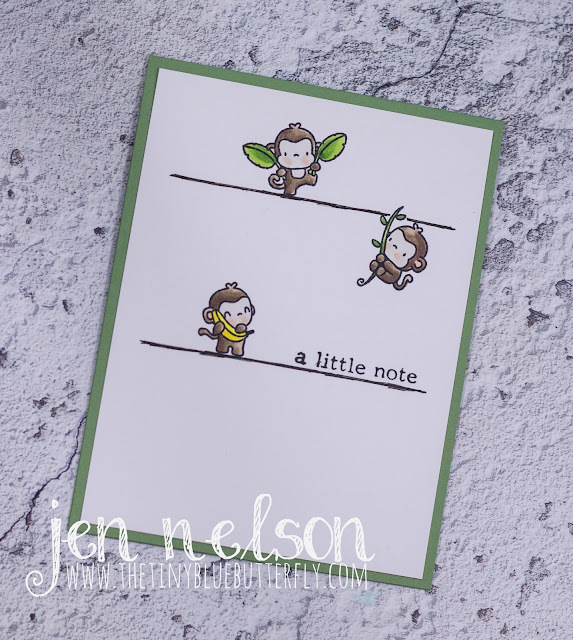 I added a star cut from Stampin Up Cherry Cobbler card stock and then added a sentiment from avery elle. 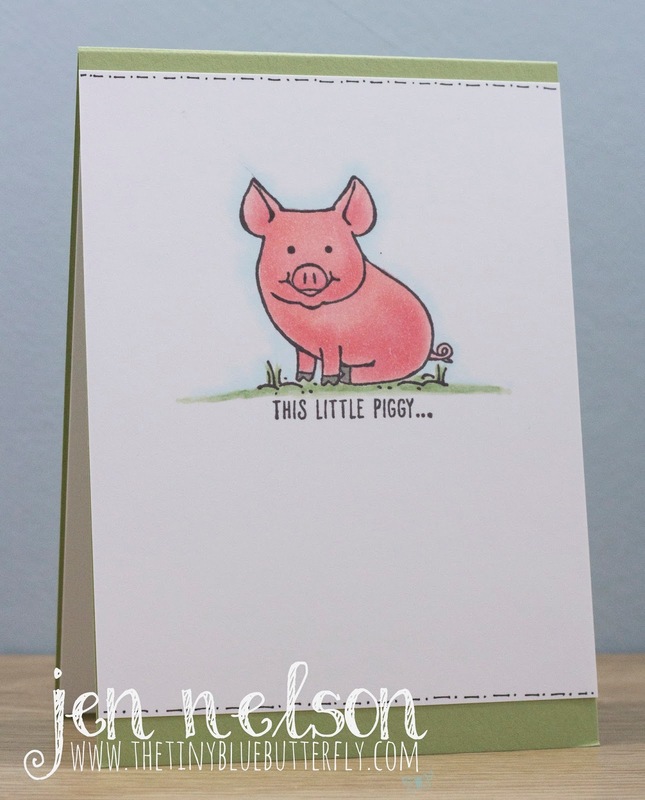 The piece is then mounted onto a white card panel and then onto a card blank made from cherry cobbler card stock. Hey Y'all... As part of Lili of The Valley's 14th Birthday celebrations we are having a fantastic blog hop with lots of our wonderful, talented Design Team. You should have arrived here from Kat, but if you didn't then start with Marianne. Morning.... I'm off to Port Sunlight today for the Happy Stampers show so I thought I would share a card using stamps from one of the exhibitors, Uniko Stamps. I stamped the main image from the Marvellous Mehndi set onto Bermuda bay Card stock from stampin up using versamark ink and then white heat embossed it. 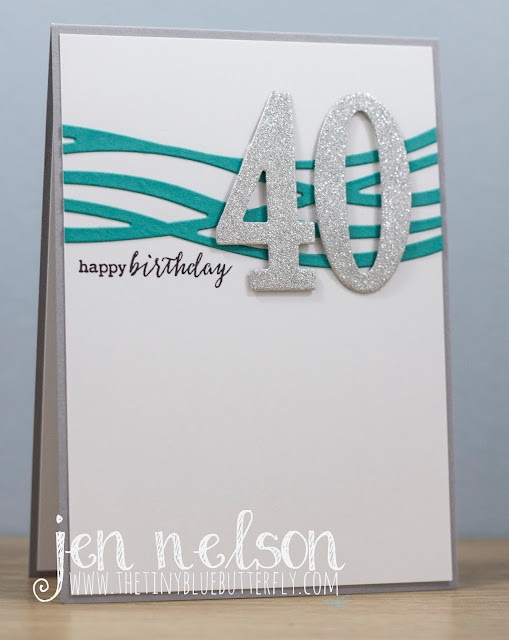 I had planned to use a larger section but I forgot to use the emboss buddy and ended up with powder everywhere. I trimmed off the good section and then mounted it onto a white panel die cut from the Avery Elle pierced rectangles. 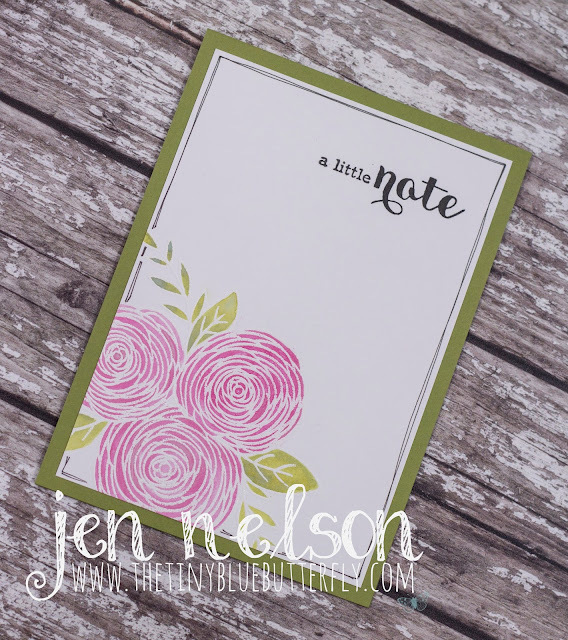 The sentiment is from a Waltzing Mouse set and stamped in nocturne versa clair ink. To finish it off I added some pearls to the mehndi and then mounted the panel onto more Bermuda bay card stock. 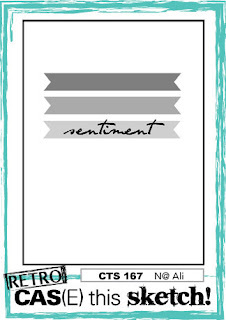 Morning.. As I was going though what I wanted to sell a couple weeks ago I found this little gem from Stampin Up. 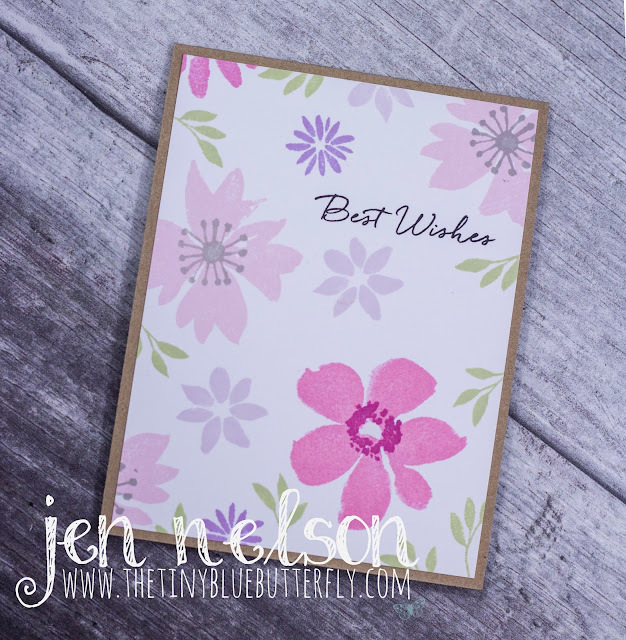 It is called Blooms & Wishes and is retiring at the end of this month so I thought I better use it! Using my MISTI I stamped sentiment and then the images over a back ground panel using Altenew inks. I then trimmed down the panel and mounted it onto a kraft card stock base. 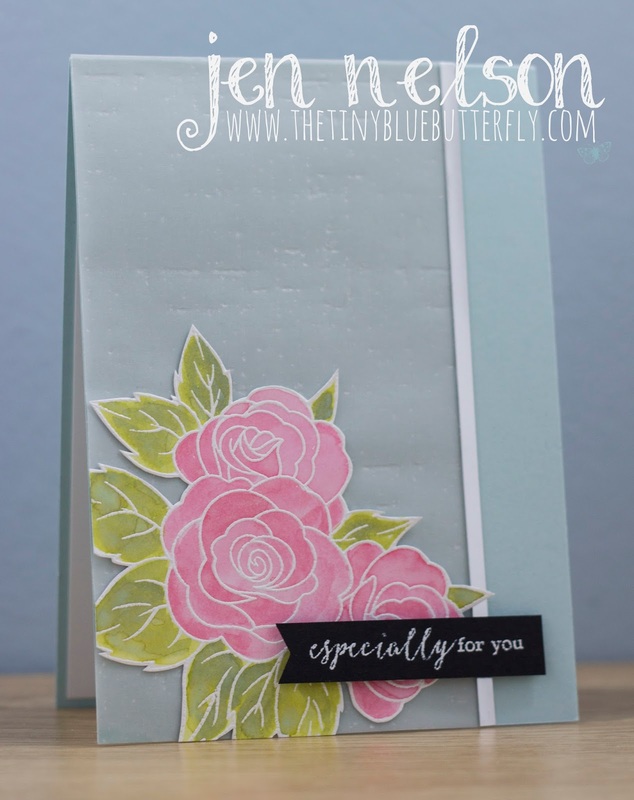 I think I probably should have added some centers to the flowers now I look at the photo but love the colour combo. Morning... I'm still working through the box of images and scraps and found this little bear which is part of a Stampin Up stamp called We Must Celebrate. 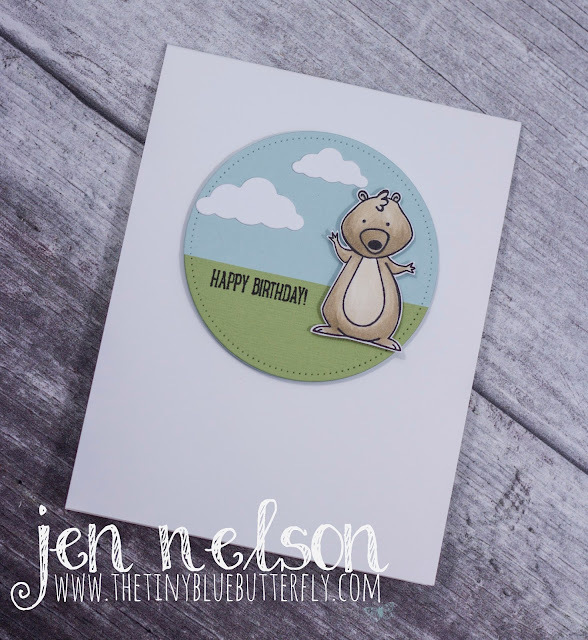 I fussy cut out the bear from the group of animals and then mounted him on a circle of soft sky and pear pizzazz card stock which has been cut using the Avery Elle pierced circle dies. 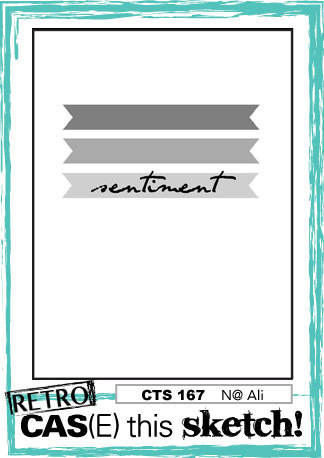 I then added a couple of clouds cut from an old memory box die and a sentiment from the Glamper Greetings also from Stampin Up. Morning... 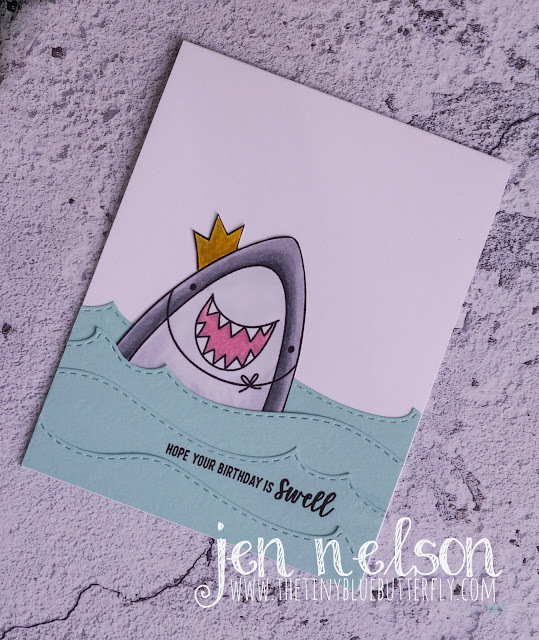 So one of my friends is off to travel and scuba dive for a few months as a sabbatical from work so I just had to make a little card. 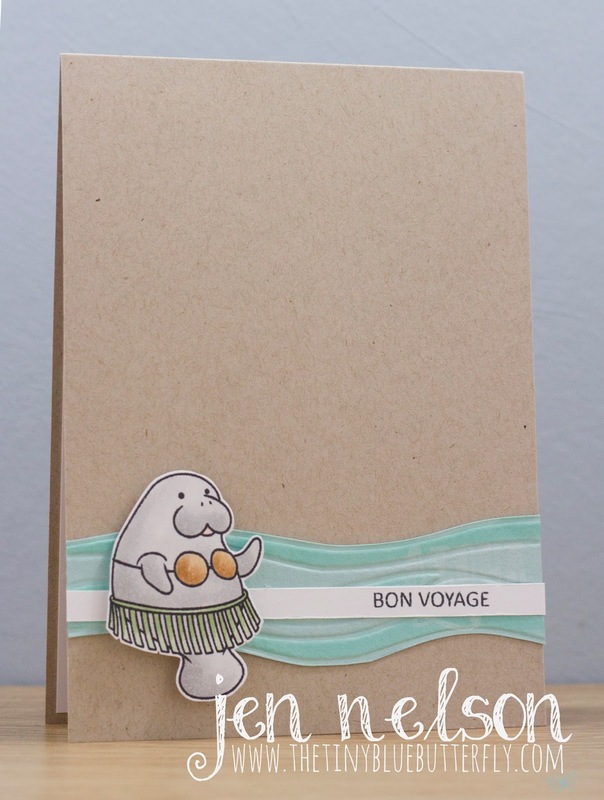 The manatee from Clearly Besotted was perfect! I coloured in one of the Manatee from the Manatee Madness set from CBS with copic markers and then fussy cut around the image. I then embossed a piece of Soft Sky card stock from Stampin up with the Seaside Embossing folder from Stampin up and added a little colour using a matching copic to some of the waves before trimming a section of it out to create a band across the card. 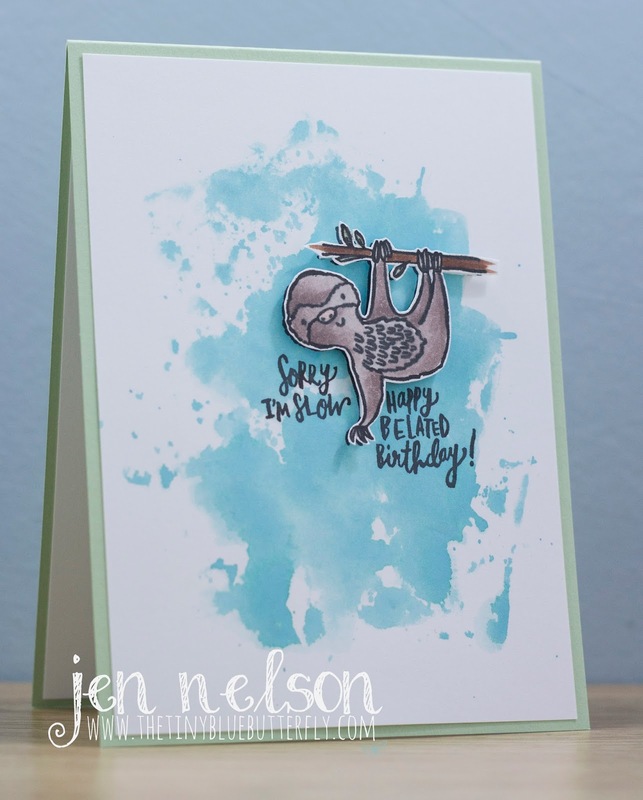 The sentiment from Tiny Type from CBS is then added on a strip of card over the waves and the little manatee added on foam tape to finish it off. It's a long weekend in the UK with the May day holiday on Monday so I'm looking forward to a great weekend of music and friends. Hey Y'all. hope you are all having a good week. I'm currently handing over at work so the days are a little manic and stressful but my mojo seems to be in full swing. Today I have a card using a set from Mama Makes. 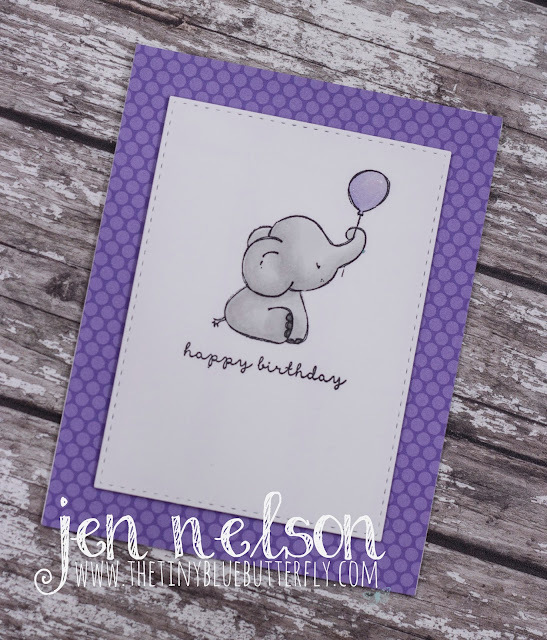 This set is called Elephant Birthday and you can find it HERE. I stamped the image using copic friendly ink onto neenah solar white card stock and then coloured it in. I then cut out a panel using Simon says stamp stitched rectangles before mounting it onto doodle bug colour in kraft DSP. All of my Photoboards have been delivered now so I am working out which ones are best for my cards. I will still have some cards already made and photographed the old way until the end of May and have manage to schedule a massive pile of posts as I am trying to get more organised with m blogging, crafting, facebook page and instagram account. I also spent some of last weekend rearranging my craft room so my desk is directly under the room light. Even with the desk lamps I was struggling with really bad light so the desk is now in the middle of the room. Once I have finished my mad sort out and de-stash (you can find the pre-loved craft items for sale in HERE in a facebook group) i'll try and do a short video or at least some pictures. Morning... 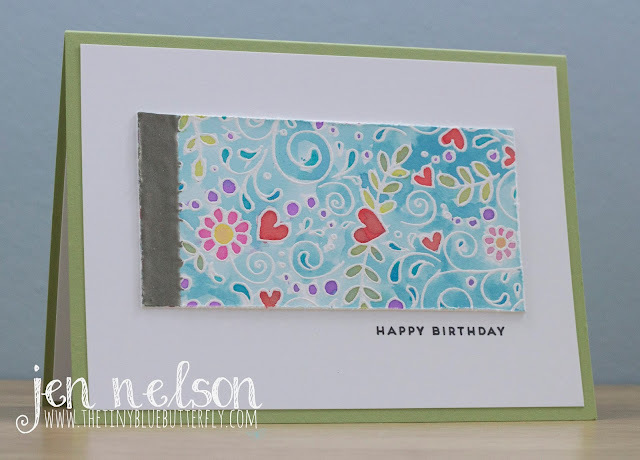 I have a really quick card for you today using a die I picked up last year at a craft show from the bargain bins. It creates a connected strip of chevrons. I cut out the chevron die in black card stock and then placed it across the card and fasted it on the back so it was floating. 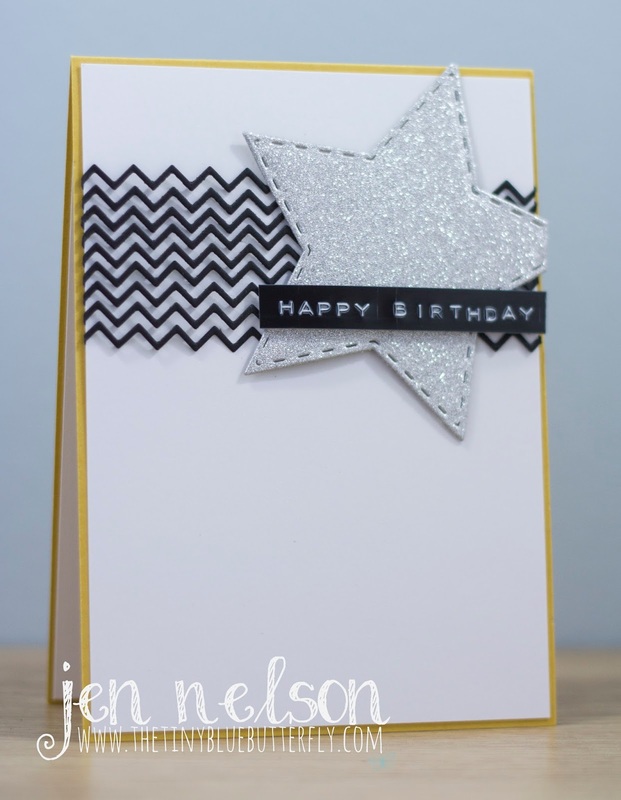 I then cut a star from glitter card stock (actually from a Christmas cracker paper but I loved it so I saved it all) and added it to the panel. 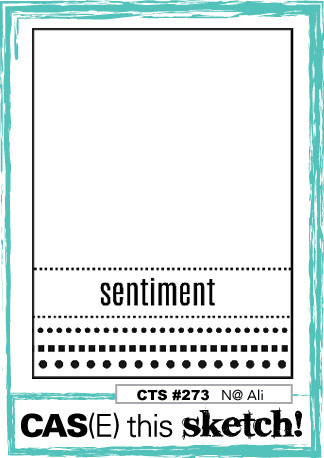 The sentiment is done using my label maker. I then mounted the panel on a card blank made from Crush Curry card from Stampin Up. I have been a card making machine lately, so I have cards to share with you over the next few weeks as well. I think I have made more cards in the last few weeks than I made in the whole of 2017!